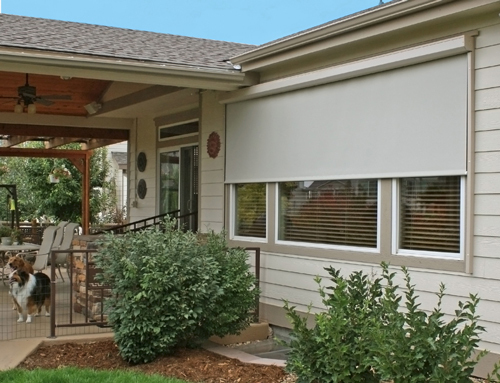 Interior solar shades sold and installed by Boise Blinds provide the perfect barrier. 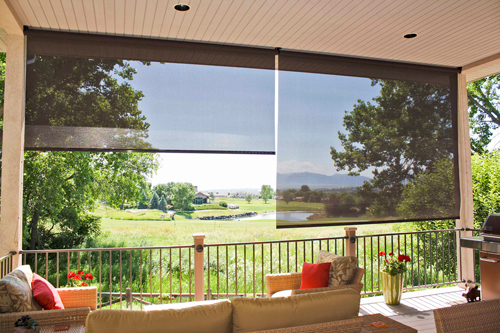 Manufactured in Louisville, Colorado by Insolroll these shades are specifically designed by a company that specializes in solar shades. These shades keep annoying glares and dangerous UV rays out of your home or office without blocking the beautiful outside views. 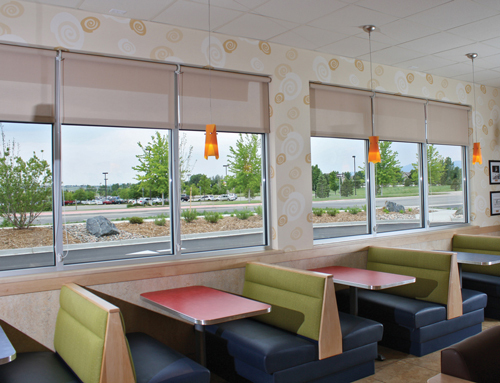 Interior solar shades are made in a variety of fabrics and weaves and are manufactured to last! Further customization is available by selecting the weight and opacity based on your preference. 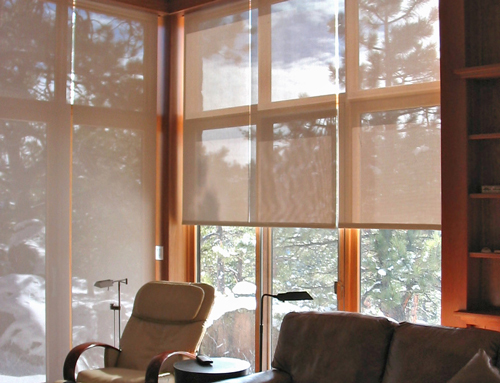 Our options range from sheer fabrics that provide a light and translucent feel, to blackout fabrics that block all light for total privacy. These shades can cater to the aesthetic you prefer for each room of your home or office. 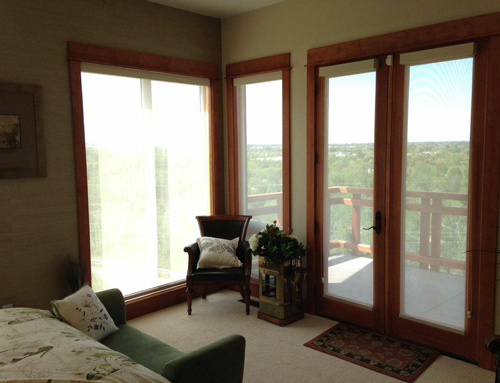 Our exterior solar shades block the sunlight and UV rays before they even enter your window! These shades are mounted on the outside of your window. The bulk of the sun’s heat is absorbed by the shade and reflected away from the interior of your home or office. 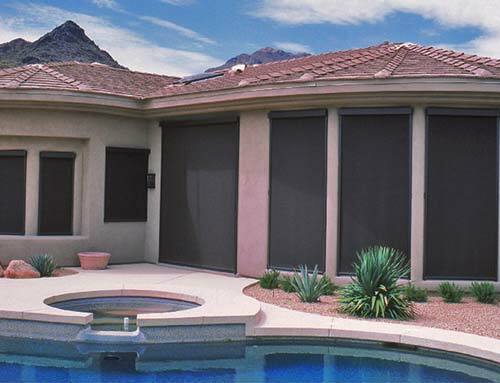 All our exterior shades control the heat and glare from the sun without altering your great view of the outdoors. We pride ourselves on providing the most effective solution for comfort in outdoor living spaces. In geographical locations where heat is extreme, our exterior window shades reduce heat gain and guarantee lower costs for air conditioning. Patio and insect shades are engineered to extend the livable space of your home outside. These can be used to close off outdoor patios and porches, doors, and garages to increase the useable square footage in your home throughout the year!